Ever bought something in a sale that you later regretted? 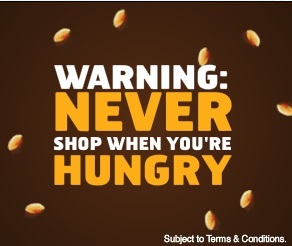 Snickers blame these shopping errors on hunger to tie in with their “You’re Not You When You’re Hungry” campaign. This case study looks at how Snickers helped shoppers in Dubai resell unwanted items they bought in the sales. The Snickers campaign ‘You’re not you when you’re hungry’ has been hugely successful all over the world, and Snickers wanted to launch this campaign in the Middle East. Dubai has forty of the largest shopping malls in the world attracting more than 100 million visitors each year, during sale season millions of people buy unwanted items, a problem Snickers attributes to being hungry. 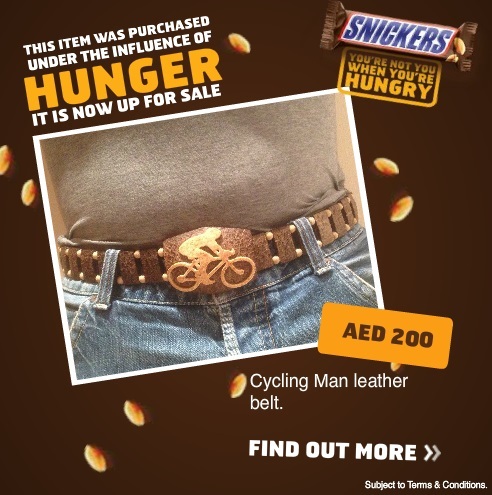 To introduce people in Dubai to the threats of doing things they wouldn’t normally do when hungry, Snickers launched the ‘Snickers Hungry Purchase Resale’ campaign. Snickers partnered with advertising agency Impact BBDO and Dubizzle.com (Dubai’s leading classified website) to give shoppers the opportunity to uploaded items they wanted to sell straight to into the Snickers branded banners that appeared on the Dubaizzle.com homepage. In the first week of launching the campaign on the Dubizzle.com, Snickers received over 200 admissions of unwanted items to sell, items received a CTR five times higher than the industry standard which resulted in 80% of the items posted being sold on the same day, a huge success for both customers and Snickers.